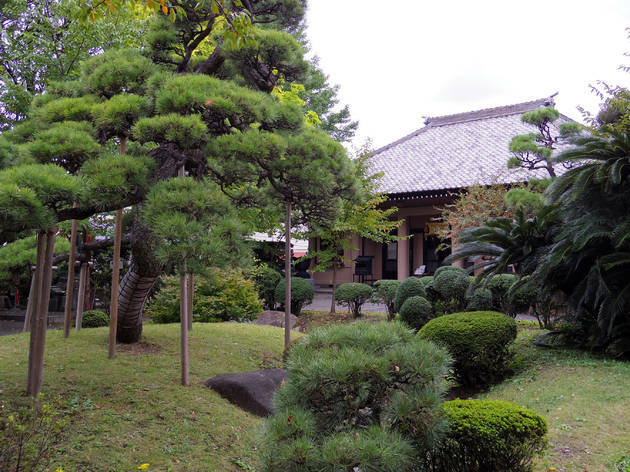 Hidden in the middle of a quiet residential area just off the Daiichi-Keihin highway in Oimachi, this temple belongs to the Shingon sect of Buddhism and is an eerily quiet oasis found at the end of a beautiful stone path. 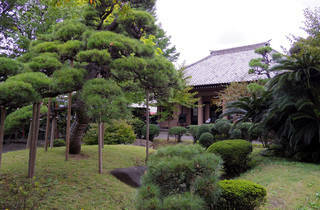 The temple’s origins reach back into the 10th century, but the current, rather modern buildings are all built in the postwar era. In addition to the small but lush garden inside the gates, the highlight here is the monument to the indigo dealers of Awa Province (today’s Tokushima Prefecture), who plied their trade in Edo from the early 17th century to the Meiji Restoration, keeping the capital’s inhabitants stocked up on this blue dye that’s still one of Tokushima’s most famous exports. Look for the sitting bodhisattva statue on top of the monument.